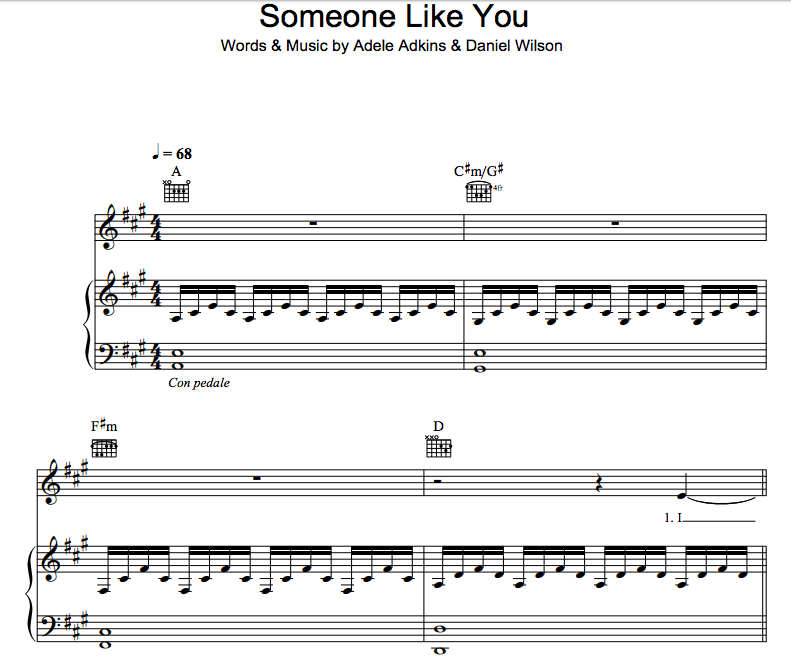 You will be working on a performance piece called “Someone Like You” by Adel that you will learn to play for your journal. In each video you should start with performing a given major scale ( GO HERE for all Major key fingerings for both hands ) and one other warm-up exercise that will be used to improve your technique. Criterion D – Responding – Reflect on your progress. This needs to be an in depth reflection that clearly identifies how the warm-up exercises, Etudes, scales help to develop skills that will help you perform better. It should also include your personal reflection on how you are improving and the setting of new goals.